Every so often, the internet becomes abuzz with a new beauty item that fills up our feeds. From Jeffree Star’s Skin Frosts to Morphe’s Gunmetal Brush Set, these beauty products are hailed as gamechangers by just about every beauty blogging Instagrammer out there, and go on to become sell-out sensations. 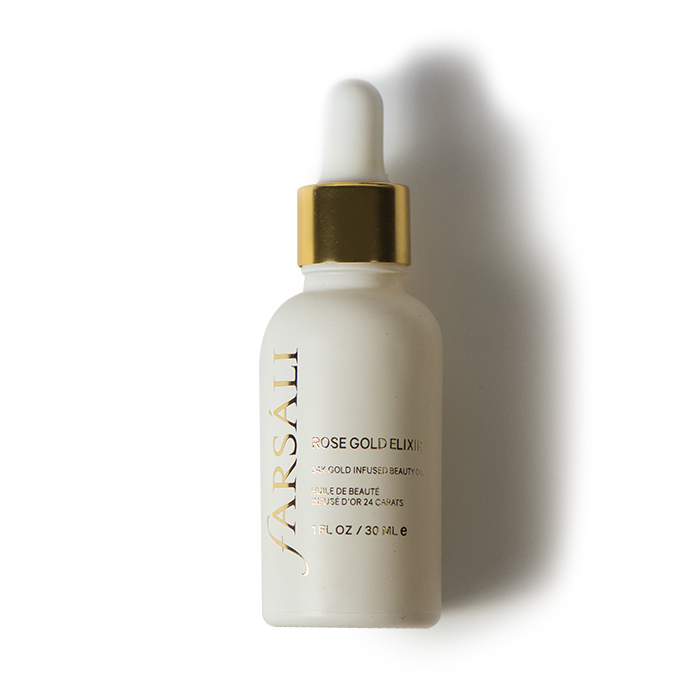 The latest of these is Farsali’s Rose Gold Elixir. Created by the product developer husband of YouTube guru Farah Dhukai (famous for her DIY beauty hacks), in less than two years this seemingly unassuming bottle has become an Instagram-hit. If you’re not in the habit of stalking beauty bloggers’ Instagram accounts on a daily basis, you’ll be understandably sceptical (as was I). However, the skincare enthusiast in me was also intrigued by sky-high claims attesting to this oil’s ability to act like an IRL Instagram filter for the face, giving a flawless finish and radiant glow. 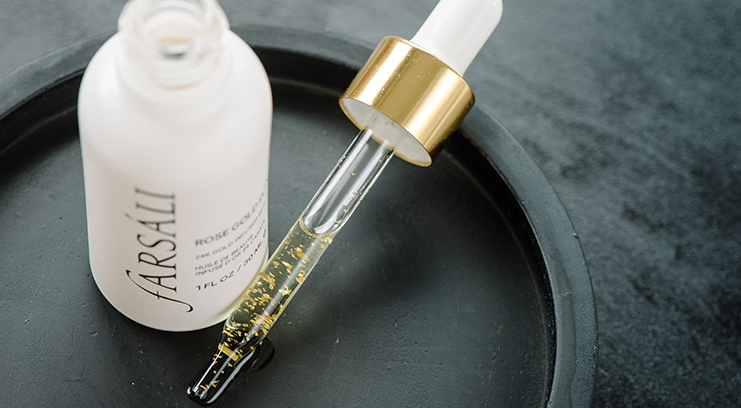 Strictly speaking, Rose Gold Elixir is a treatment oil, but it’s also one of the most versatile, multitasking skincare treatments I’ve ever used, with a myriad of benefits. Aside from replacing your daily moisturiser, it might just render your primer and highlighter redundant as well. Specifically designed to be used with makeup for a fresh, glowy, airbrushed finish, the weightless oil blends right in and melts into skin without emulsifying makeup, delivering flecks of gold that give skin a radiant sheen. Whether smoothed onto skin as a priming step, mixed with makeup (2-3 drops depending on how dry your skin is) or dropped onto a Beauty Blender before applying foundation, it provides a supple, radiant finish and keeps skin glowy and hydrated all day long – preventing that dry, cakey effect that usually kicks in at around 3pm. 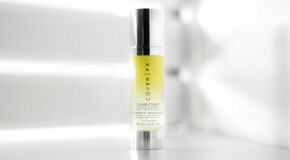 The beauty of the serum is its simplicity; the formula contains just six ingredients – orange peel, lemongrass, pumpkin seed, Vitamin E, 24-karat gold, and rosehip oil – which combine to create a vibrant citrus scent and surprisingly light, thin texture, which skin instantly drinks up. 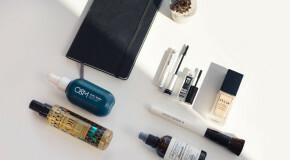 The radiance boost is immediate – pretty much negating the need to use highlighter – and doesn’t fade throughout the day. Nor does it incite oiliness – I have a tendency to see shine on my T-zone and expected the oil to make this worse, but saw no change whatsoever. The base of the product is rosehip oil – lightweight, rich in vitamin A, and renowned for its ability to reduce the appearance of fine lines, hyperpigmentation, and scars, and to absorb quickly and work well with makeup. The magic of the elixir is that the oil thins the texture of your makeup and gives it an emollient consistency, which allows it to better blend with the skin. This means no more cakey finish, flakey dry patches, or easily transferring makeup. Instead, the foundation becomes more malleable, buffing easily and smoothly into skin. Ideal for when you want/need to keep skin hydrated without looking or feeling like an oil-slick, it performs brilliantly at sheering out a heavy foundation coverage and taking a formula from matte to dewy – it basically turns any foundation into a brighter, better version of itself.